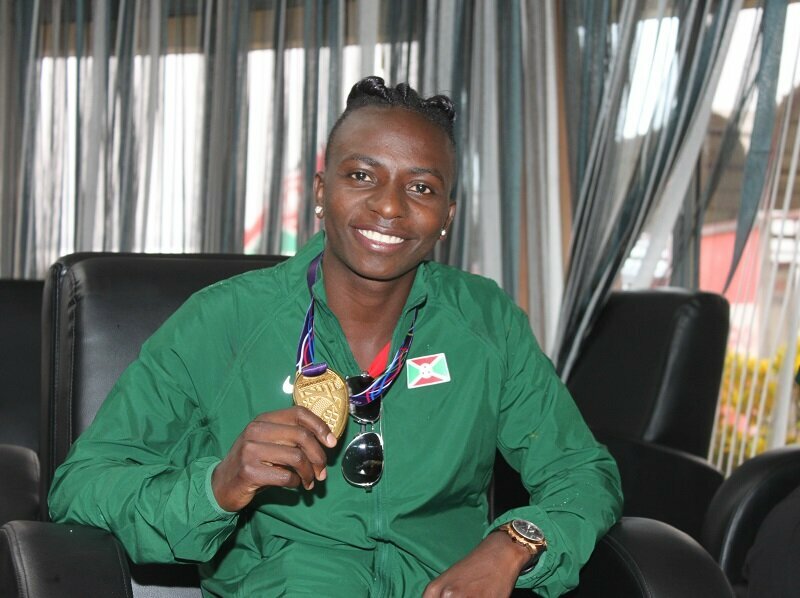 BUJUMBURA March 7th (ABP) – The Burundian athlete by the name of Francine Niyonsaba returned from England on March 6, 2018 with a gold medal earned from her first place in the 800 meters, a check by ABP at the Bujumbura International Airport has revealed. Upon her arrival at 9:30 am local time, she was received by family members, some diplomats including the Ambassador of the United States of America to Burundi, several Burundian athletes including those from the Muzinga team and other personalities. 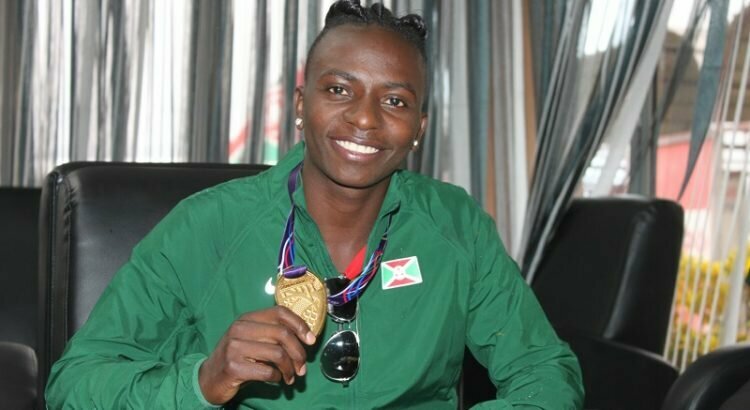 In her interview with the journalists, she expressed her immense joy, because according to her, the medal belongs to all Burundians because it is an honor for our country. “I urge all Burundians and especially girls to love the sport and those who are already athletes to redouble their efforts to win medals and improve the image of our country,” she said. Asked if she did not take advantage of the absence of her South African rival Semenya, Miss Niyonsaba replied that even though she had participated, she would have defeated her thanks to her determination to go home with a gold medal. On her behalf, the US Ambassador to Burundi wished her to move forward. The company BRARUDI also congratulated the athlete by offering her a bottle VIVA she tasted with pleasure, alongside all those who came to welcome her.